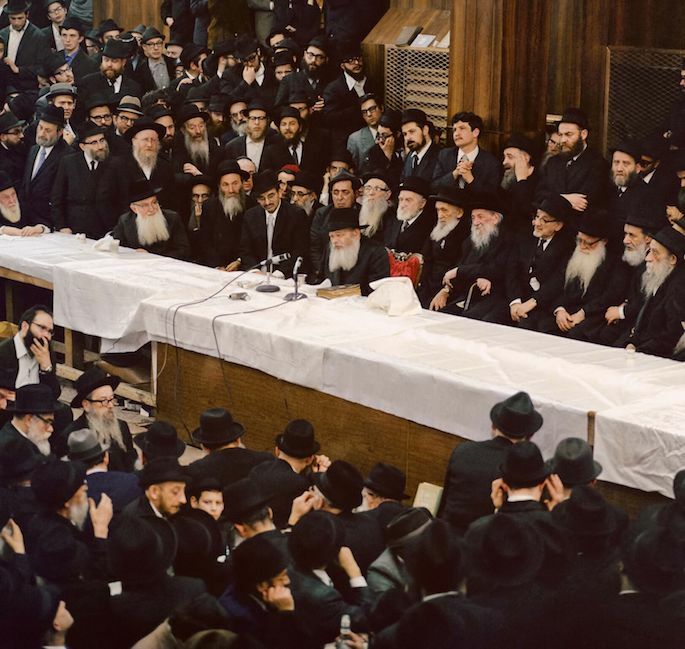 Today over 4,500 full-time emissary families direct more than 3,500 institutions Motivated by his profound love for every Jew and spurred by his boundless optimism and self-sacrifice, the Rebbe set into motion a dazzling array of programs, services and institutions to serve every Jew. Today over 4,500 full-time emissary families apply 250-year-old principles and philosophy to direct more than 3,500 institutions (and a workforce that numbers in the tens of thousands) dedicated to the welfare of the Jewish people worldwide. I simply implied that the ladies picture was not up-to date. To avoid being scolded again you will won't be bothered by any of my thoughts. That is a lousy answer. It’s like telling: we have our way of living, and in times of distress, it’s up to the non believers to deal with their distress. Your answer should have said that compassion for humanity is essential. It is the base of your existense as long as you can maintain yourself in the first place. You are correct, compassion for humanity is essential. Compassion for our family, however, is our first obligation. This is followed by compassion for our friends and relatives as well as compassion for all of humanity. Chabad Rabbi's are the most amazing people in the world. I am so happy to know my Rabbi for San Diego Chabad when no one came to help he was there within an hour. Thank you! I spent a wonderful Shabbat with Rabbi Tiechtel at the Nashville Chabad Center. It was delightful. The Rabbi's talks were enlightening and the people I met were hospitable, walking in the footsteps of Avraham Avinu and in the tradition of Chabad. I was given royal AAAAA treatment, as if a visiting king! It was a Shabbat I will never forget. Re: Jeremiah Of course there is! You too! Chabad's efforts to make this world a brighter place are for everyone. Is your mother Jewish? If so, call yourself what you want, but Chabad won't judge you. They'll help you in the path of connecting to the 613 Mitzvot. Is your background not Jewish? Chabad has great resources to teach you the Seven Noahide Laws. Bottom line, Chabad will impart on you how to have an impact on this world to make this world a better place by increasing in acts of goodness and kindness. It has great humanitarian efforts to get involved in as well. Found out how "God" works,finally: Yes,I studied and searched all my life to find"the Truth"; I only recently realized thru Chabad how God works.I think he puts all life into this world,and WE are connected to him,all our lives.as is all life! That's the way God connects to this world; thru us,and all life.The Chabad are right.